My friend, who is somewhat conservative, argued last night that the sensitivity around naming has gone too far and that professional sports is being hijacked by political correctness. He thinks that renaming sports teams is a costly proposition that, in some cases, ignores decades of proud tradition in the communities where these teams play. I respectfully disagree—and so, apparently, do at least 50 U.S. senators, the CEO of Fed Ex, and any number of other folks who aren’t exactly on the vanguard of the P.C. left. In male-dominated team sports, where the competitive edge is often expressed in macho hyperbole and aggressive imagery, there are all kinds of ways to name a team that could offend almost any sensibility. If bruised feelings were the bar, sports organisations everywhere would very quickly go bankrupt after rebranding themselves every few seasons. (So a better example of “going too far,” in my view, was the call in 1995 for the NHL’s new team in Denver, the Colorado Avalanche, to change its name out of respect for actual avalanche victims.) Where does it all end, one might well ask? The answer is simple: it ends with deciding NOT to name a team in a manner that stereotypes, stigmatizes or essentializes an entire group of people through their race, gender, sexual orientation or belief system. It ends with rejecting logos that can be seen to caricature groups of people, or any image that can be used to belittle or trivialize them. It ends with recognizing that what seemed appropriate in 1932 (the year the Redskins were named by a group of white businessmen) might not be today; that, just as it’s no longer cool for white folks to do “black face” in theatre (or to consider the late Mickey Rooney’s performance as a buck-toothed, myopic Japanese neighbour in “Breakfast at Tiffany’s” as some form of comic genius), it is also not cool—and hasn’t been, for ages—to name your sports team after a fetishized concept of those, you know, exotic barefoots with the feathers and tomahawks who roamed the land before us. 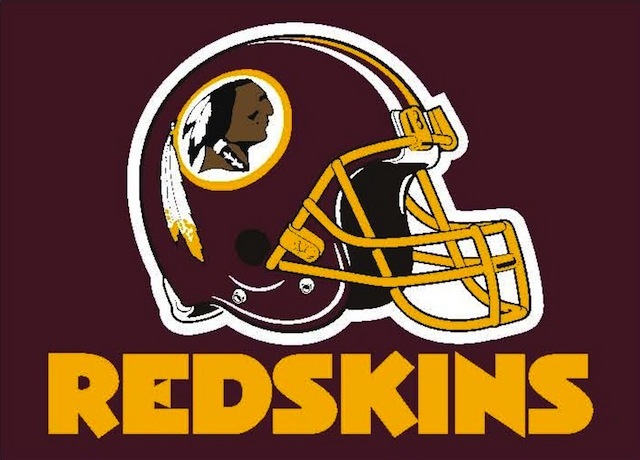 Yes, it will be expensive to rebrand Washington’s NFL team. But it will be worth it, in the long run—not only for the team and its fans, but also for any person who, confronted by the current name and logo in media and public spaces, is forced to stifle a gag reflex. To be sure, it will require the best of the team’s marketing people to come up with a new name and logo that, on one hand, captures the essence of the team and the city without, on the other, appearing to pander to those same sensitivities that gave rise to the controversy in the first place. It’s a delicate balance, but it can be done. And it’s the PR people’s job to do it. The Atlanta Braves, Cleveland Indians, Chicago Blackhawks and other professional sports teams named for cowboys-and-injuns nostalgia, might also be on notice—although the Redskins, by virtue of the pejorative connotations of their name, have raised the most ire among Native Americans.